Eric Rogers LLC paving and seal coating will only give our customers top quality work. From grading to paving, smaller companies can do better workmanship. We will take the time to do it right. 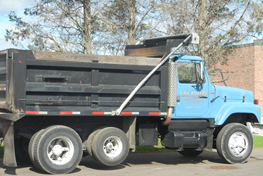 You can trust Eric Rogers, LLC for your driveway paving needs just as you do for your lawn and snow maintenance. We are always there to answer any questions or concerns you may have a phone call or a knock on the door. Eric Rogers, LLC paving and seal coating can do the simple jobs from giving your driveway a 2-inch cap to a completely new 2 ½ or 3” asphalt driveway. 2 ½” asphalt driveway is adequate for a residential driveway. Quality in paving begins in the foundation of the pavement surface. Proper construction of the sub-base is essential in providing a finish product that meets all industry standards. Often corners are cut to save money in the construction of the sub-base. Not Eric Rogers LLC paving and sealcoating, while other companies may pave four or more driveways in a day, we will not schedule more than 1 or 2. We take the time to make it right. Creating a solid foundation of the surface to be paved will save thousands of dollars in repairs in the future years. Once your driveway is paved, Eric Rogers, LLC driveway paving and seal coating will monitor your driveway for years to come with recommendations of when to seal coat to maintain a beautiful asphalt driveway. The perimeter of the manhole is cut to enhance compaction and appearance. (8’x8’ or 10’x10’). Once executed, materials are properly disposed of. Pre cast concrete catch basin or hand built block basin are checked for improper mortar or basin failure. Basins are fixed and set at the proper height for drainage. The last step is to patch the basin with either 4,000 psi concrete that is 6” with wire mesh or 1100T hot asphalt.